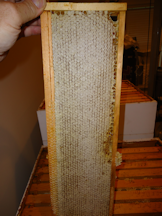 Swarming is the Honey Bee's natural way of propagating. 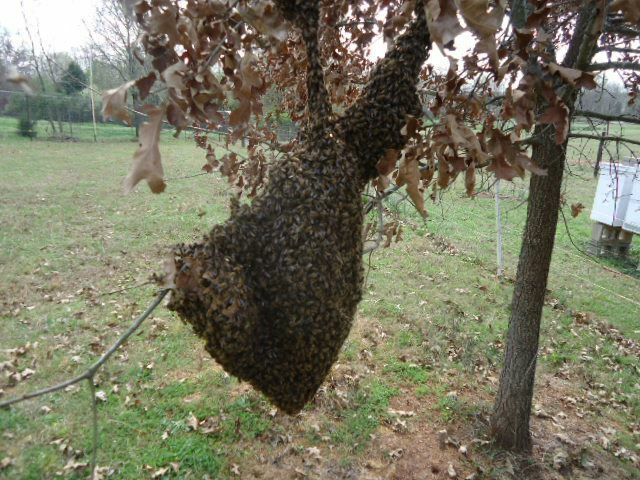 Swarming normally takes place in the spring, but can occur during any of the warmer months of the year. When a hive senses that it is becoming overcrowded the workers will raise a new queen, and the old queen will leave with 50%-60% of the worker bees. 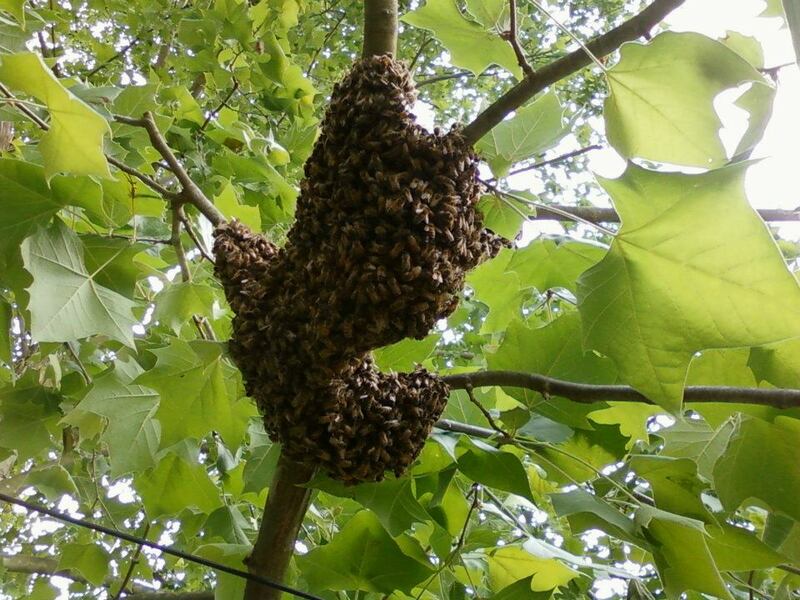 Swarms will settle on a variety of locations from tree limbs to car doors. They may stay for several hours or for only a few minutes. 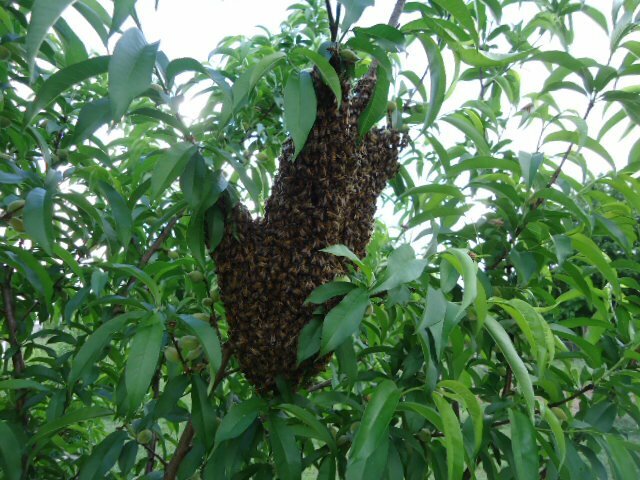 Do not disturb the swarm, and PLEASE never spray any kind of pesticide or poison on the bees before calling a beekeeper. Before calling to have a swarm removed please be ready to answer a few questions that the beekeeper will have about the swarm. Are you sure you have bees? Can you see the nest? Is it round, gray, and papery looking? 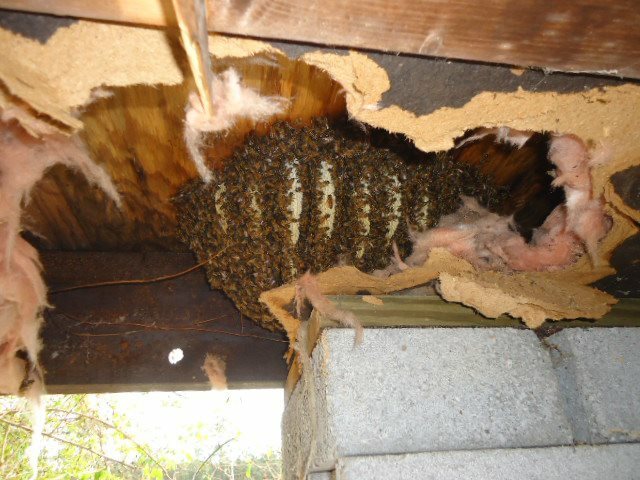 If so, it is a wasp nest, not a bee hive. Are the bees in a large clump and you haven稚 noticed them before? If so, they are probably a swarm. If it is a swarm, then how big is it compared to a basketball? 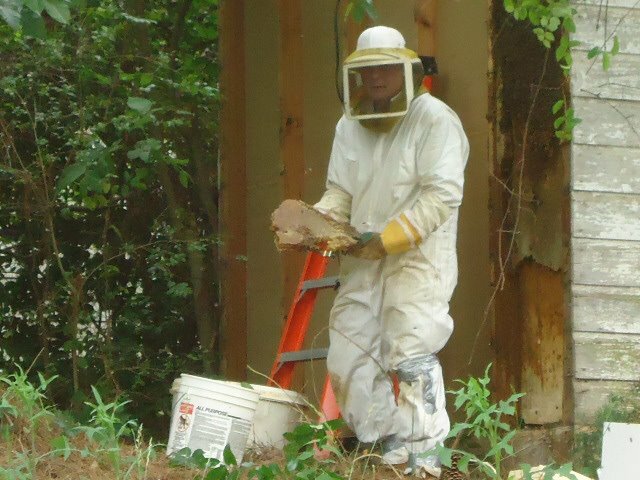 Are the bees going in and out of a hole in your house, a tree, or another object? If so, there is probably a hive inside. How high are the bees? How long have you known the bees to be in this location? Has anyone attempted to remove the bees? If so, please be prepared to describe what was done. Have you sprayed the bees with anything? If so, please make note of exactly what you sprayed them with. Are you the owner or a tenant of the property? The following beekeepers are willing to remove swarms of honeybees from your property. Cell: (850)218-6837 mrc35620@mediacombb.net I live 4 miles south of Ardmore. 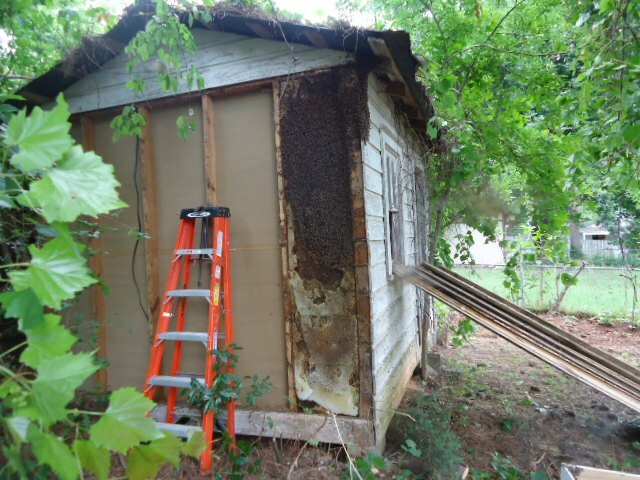 Michael Browning 256-614-3897 mtgcb1@gmail.com Athens, AL Notes: Have a construction background for established hive removals in homes or commercial buildings. 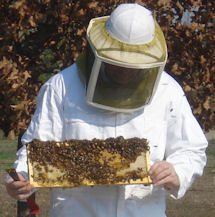 The following beekeepers will remove established hives. Please be aware that there is usally a charge for this service.